If you want incredible access to downtown, dining, parks and entertainment, then Camelot Park should be a neighborhood on your shopping list. Here you'll find 3 and 4 bedroom homes with nice-sized yards available at prices far below their replacement costs. 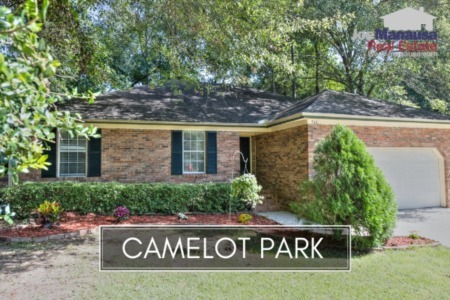 Here are all of the active listings in Camelot Park. 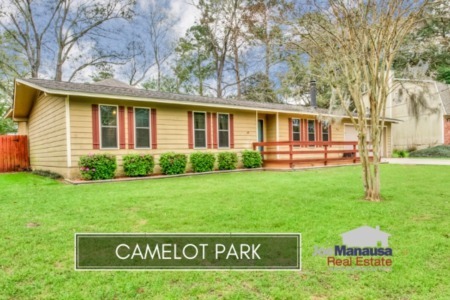 When somebody lists their home for sale in Camelot Park, it will be here within 15 minutes of it hitting the MLS. You can click on the "show map" button to see where they are located within the community. This popular in-town neighborhood is a buyer-favorite due to it's "proximity to everything." It is important to note that the narrative contained below is for sales through December for all previous years, but through the first ten days of July in 2017. The graphs and the closed sales table will be continuously updated into the future (meaning bookmark this page if you always want to know the current status of homes in Camelot Park). Average home prices in Camelot Park have jumped nearly 18% higher thus far in 2017, up to $168,000, and there is still plenty of room for growth here. Considering that these are single family detached homes in a contained downtown neighborhood, I remain confident that even at today's prices they are undervalued by a very large margin. The pace of home sales is solid and we might yet see a consecutive "best of the past 12 years" for home sales in Camelot Park. Buyers are standing in line for properly marketed homes here. Currently, eight homes are on the market, and three of these homes are already under contract. Average home values in Camelot Park have risen 19% this year, with plenty of room yet to go. Remember, if these were vacant lots, they would sell for $80K to $100K right now. Even if you could build a home here for $110 per square foot, that would give you a replacement cost of a minimum of $250,000 for a 1,500 square foot home ($167 per square foot). WIth several homes available at 35% less than that today, Camelot Park is still offering great value. The 11 homes that have sold this year went for an average of $111 per square foot. The average size of a home sold in Camelot Park typically falls in a range of 1,400 square feet to 1,650 square feet, and 2017 is no different. The 11 Camelot Park home sales in 2017 have averaged a healthy 1,528 square feet. The following list shows nearly 600 home sales in Camelot Park going back to 1991. 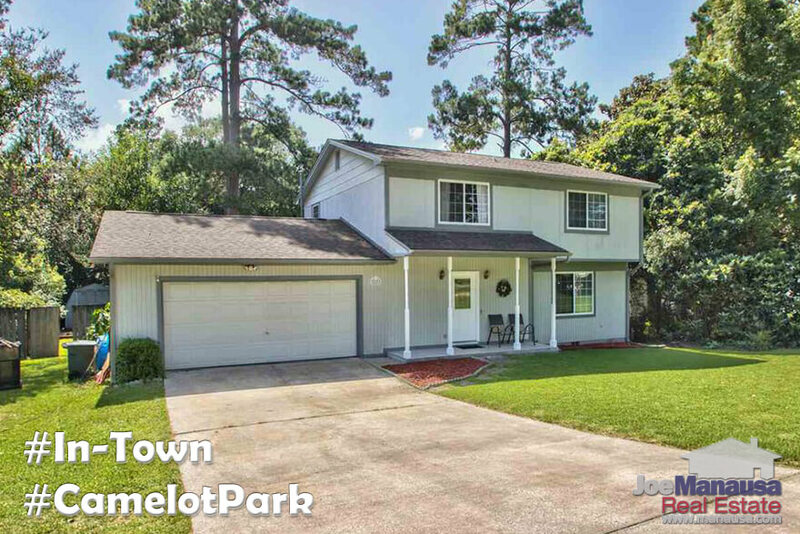 If you own a home in Camelot Park and would like to move, now is a great time (just CONTACT ME HERE and we'll have you under contract with a buyer in a very short time (days) to take advantage of the near-all-time-high values for your neighborhood. I hope you enjoyed our July 2017 update on home sales in Camelot Park, please feel free to drop me a note if you have questions not covered in this report. If you think we cover more in-depth information about Tallahassee and its most popular neighborhoods than any other of real estate website, please be sure to share us with your friends!